Tekashi69 girlfriend Jade might’ve have broken prison rule? 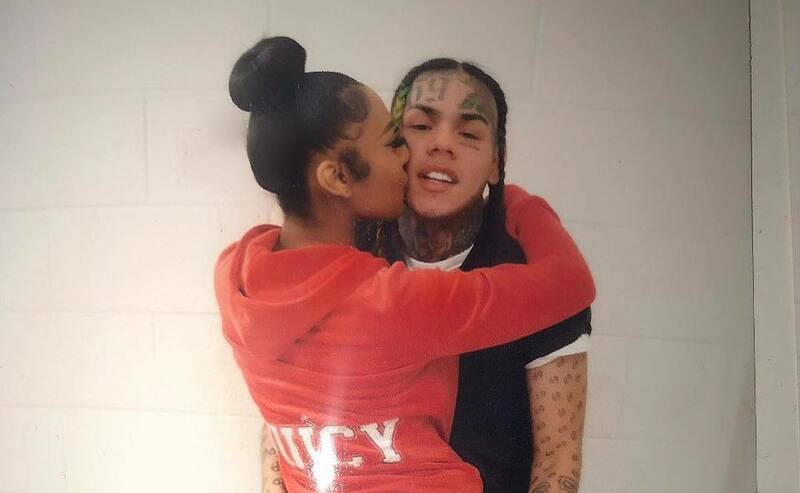 Tekashi 6ix9ine is not allowed any conjugal visits in prison, and the latest photo released by his girlfriend might’ve broken the rules. Jade posted a photo of herself and 69 on her Instagram following her visit on Monday. The pic shows the “FEFE” rapper groping her booty as she plants a kiss on his cheek. The photo quickly went viral which is a reminder that Instagram is not the same without Tekashi69. 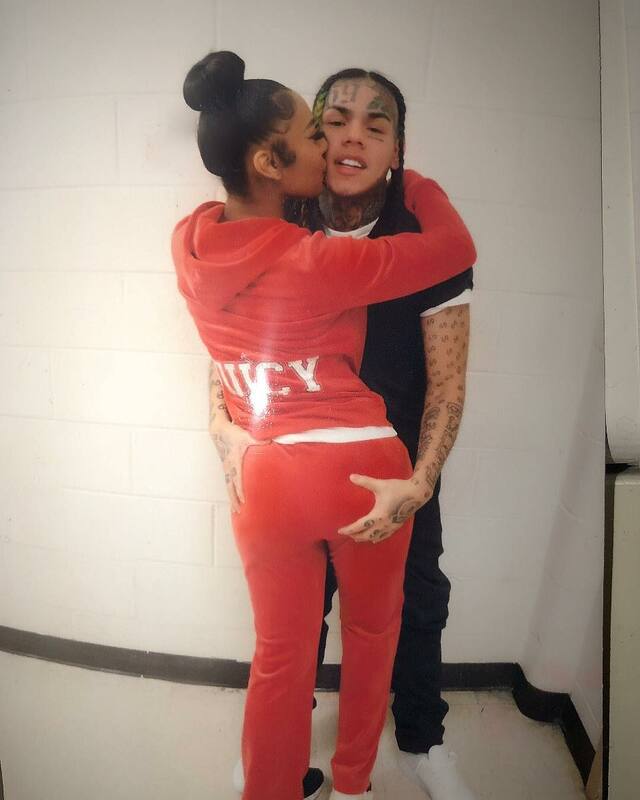 According to The Blast, 6ix9ine is not allowed conjugal visits, but he is allowed to hug and kiss his girlfriend. Additionally, the Bureau of Prisons has strict guidelines that govern visitors appearance and what they can and cannot do when visiting inmates. During the visit, the couple always has a correctional officer watching their every move, so they aren’t able to freely break the rules. Visitors can be denied access if they turn up in inappropriate attire. Women are warned to wear clothing fit for a large gathering of men and children. Tekashi 6ix9ine is hoping that a judge will grant him bail when he gets a hearing later this month. 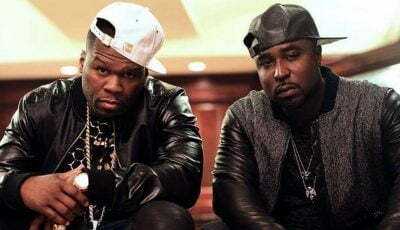 His attorney offered to put up $1.5 million for the judge to release him on house arrest. Whether or not he will get bond all depends on the judge.